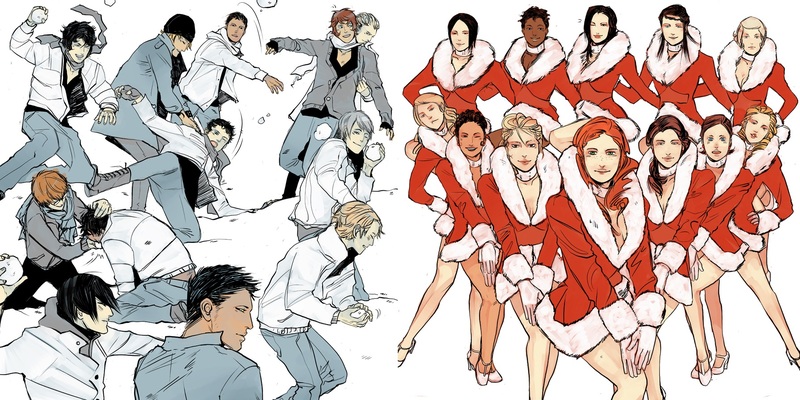 Have yourself a Merry Shadowhunter Christmas/holidays with limited edition art and more! It’s 20 days until Christmas/the holidays and if you still don’t know what to give to your parabatai, your sibling or your own personal Jace or Clary, we have once again come up with a Shadowhunter Christmas gift list for you. The first item on this list is something very, very special! The English editions of Cassie’s The Mortal Instruments were reissued with new and gorgeous covers by the artist Mìla Fürstová and fans now have the unique opportunity to buy Mìla’s designs. Every single one of the etchings (an etching is an ancient type of printmaking technique where the artist scratches onto metal and then prints from that) is signed by Mìla and Cassie herself! These limited edition etchings are 45 x 45 cm (~ 18 in x 18 in) and if you order before December 11 your present will arrive just in time for Christmas. Check out/buy the etchings here. Next year we have Lady Midnight (March 8) and the bound edition of Tales from the Shadowhunter Academy (TBA) to look forward to! 3 Comments on Have yourself a Merry Shadowhunter Christmas/holidays with limited edition art and more! I was wondering if that TMI box set with the new U.S. covers has the bonus content etc in the books??? Thanks!! !